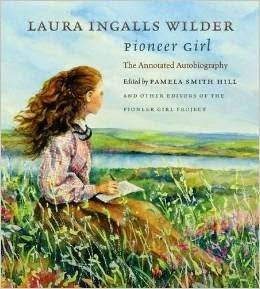 The simple life Laura Ingalls Wilder depicts in the Little House books opens my eyes to just how much in life we think we need for contentment. Laura thinks the quote above on Christmas morning. Thrilled to have a cup of her own, a penny, and two sweets, Christmas morning was a sweet surprise. Amazing. On a personal note, I am decluttering our home. I began my quest of decluttering 2,000 items in a year at Christmas. I am pleased to say I hit the half-way point this past weekend. By examining what we really use, love, and would buy again I have been able to reevaluate what items deserve to be in our home. Like most Americans, if our family of five needed to move tomorrow, we would not pack up a covered wagon to move. 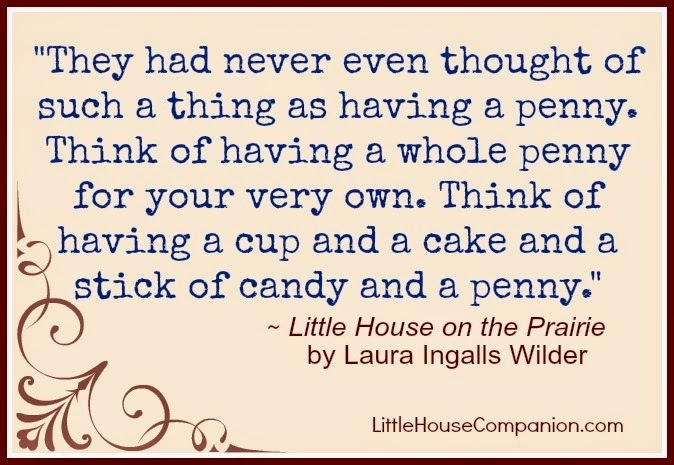 Though I am not ready to join the Tiny House (or Little House) movement, I want to better appreciate what I already own and be content with where I am instead of buying more stuff that I may or may not want or need. I think Laura would approve. 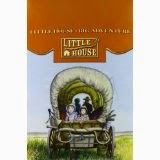 Thanks for reading Little House Companion!